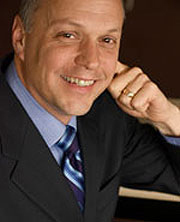 Jon C. Schommer, R.Ph., PhD, is a professor at the University of Minnesota. He received his BS, MS, and PhD degrees from the University of Wisconsin – Madison. Since graduating with his PhD in 1992, he has devoted his career to teaching and research. Much of his work is related to the pharmacist workforce at both national and state levels. Dr. Schommer has served as President for the Academy of Pharmaceutical Research and Science and as a member of the APhA Board of Trustees. I investigate information processing and decision making related to the provision, use, and evaluation of drug products and pharmacist services. The work is grounded in health behavior theories; decision-making theories; behavioral economics; cognitive, social, and behavioral psychology; and marketing models of organizational and consumer behavior. Areas of research specialization include: (1) organization, pharmacist, and patient effects on the provision of pharmacist services, (2) patients' evaluation of pharmacist services, (3) patients' processing of medication information and resultant decision-making, (4) outcomes from the use of specific drug products and pharmacist services, and (5) use of drug products and pharmacist services in vulnerable populations. Problem solving and decision making related to the provision, use, and evaluation of drug products and pharmacist services. The work is grounded in health behavior theories; decision-making theories; cognitive, social, and behavioral psychology; and marketing models or organizational and consumer behavior. Findings from these areas of research contribute to: (1) the development, delivery, and promotion of pharmacist services, (2) an understanding of patients' knowledge, use, and evaluation of pharmacist services, (3) a patient-centered perspective of appropriate drug use, and (4) decision making about the feasibility of drug therapies and pharmacist services for improving patient care outcomes and containing health care costs. Social & Behavioral Aspects of Pharmacy Practice, Kendall Hunt Publishing, 2016.